There are only few tickets left for the Thursday evening with Vint Cerf, one of the fathers of the Internet, who will talk about why the Internet is still unfinished. You can book your ticket for the Alte Aula in Heidelberg here. Here you can register and book your hotel. Here you can apply for free tickets. All talks will be translated to German. The language the talk will be given is marked by a light grey background below. 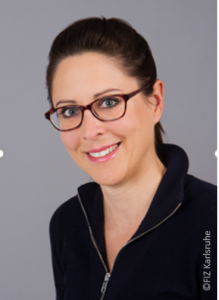 16h00 Prof. Dr. Franziska Boehm (Leibniz-Institute for Information Infrastructure) - Regulation of Algorithms and Blockchain Applications - Transparency as a Vehicle for More Self Determination? 18h30 Reception of the ACM Europe Council with all participants of the symposium being invited to continue the discussion in a nice atmosphere with dinner. Hier können Sie sich registrieren und Ihr Hotel buchen. Hier können Sie sich auf Freitickets bewerben. Alle Vorträge werden auf Deutsch übersetzt. Die Sprache in der der Vortrag gehalten wird ist durch hellgraue Hinterlegung angezeigt. 16h00 Prof. Dr. Franziska Boehm - Algorithmenregulierung und Blockchainanwendungen - Transparenzregelungen als Mittel zu mehr Selbstbestimmung? 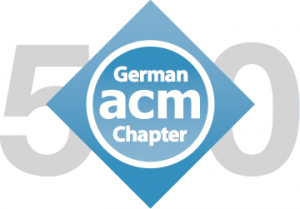 18h30 Empfang des ACM Europe Council Alle Teilnehmer des Symposiums sind herzlich eingeladen, die Diskussion bei gutem Essen fortzusetzen und den Abend gemeinsam ausklingen zu lassen. 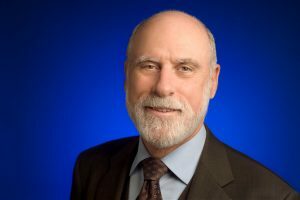 Vinton G. Cerf co-designed the TCP/IP protocols and the architecture of the Internet and is Chief Internet Evangelist for Google. He is a member of the National Science Board and National Academy of Engineering and Foreign Member of the British Royal Society and Swedish Royal Academy of Engineering, and Fellow of ACM, IEEE, AAAS, and BCS. Cerf received the US Presidential Medal of Freedom, US National Medal of Technology, Queen Elizabeth Prize for Engineering, Prince of Asturias Award, Japan Prize, ACM Turing Award, Legion d’Honneur, the Franklin Medal and 29 honorary degrees. Watch the interview with Vint Cerf here on our blog. The Internet design stems from 1973 and we have learned a lot in the 35 years of its operation and evolution. There is still more work to be done. In this lecture, I will cover issues ranging from security and privacy to access and artificial intelligence. We need to mitigate risks associated with the use of the Internet - being online is not without hazards. We will be looking for technical responses to these challenges, domestic and international legal frameworks for law enforcement, establishment of norms for online Internet protections. Das Internetdesign stammt aus dem Jahr 1973. Seither haben wir in 35 Jahren Betrieb und Weiterentwicklung viel gelernt. Trotzdem bleibt noch viel zu tun. In diesem Vortrag werde ich einen weiten Themenbogen spannen: von IT-Security und Datensicherheit über Datenzugriff bis zu Künstlicher Intelligenz. Wir müssen die Risiken, die mit der Benutzung des Internets verbunden sind, vermindern – immerhin ist es nicht ohne Gefahr, online zu sein. Wir werden nach technischen Anworten auf diese Herausforderungen suchen, nach nationalen und internationalen rechtlichen Rahmenbedingungen zur Durchsetzung der Gesetze sowie nach der Etablierung von Normen für wirksamen online-Schutz. 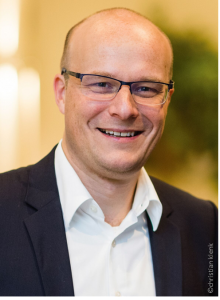 Martin Arend is General Manager E/E Architecture, Technologies within Research, New Technologies, Innovations at BMW Group located in Munich since 2015. Part of his responsibilities are Research and Pre-Development with focus on future vehicle architectures, Enabler- and Software Technologies in an early stage of the development process. Including projects Augmented Reality Glasses and Connected Mobility Lab. Martin Arend started his career as Business Development Manager in a medium-sized enterprise with introducing Bluetooth Technology. 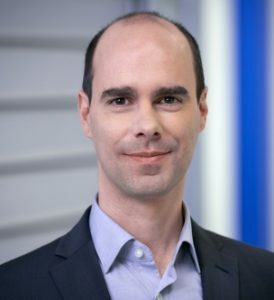 Joining BMW Group 2003 as a Telefonie/Telematics specialist he was promoted Head of CE Connectivity in 2010. 2014 he changed to the position Head of Sensors and Algorithms for Advanced Driver Assistant Systems (ADAS). He completed his degree in electrical engineering at Ostbayerische Technische Hochschule in Amberg/Bavaria. He holds several international patents for BMW Group. Automated Driving, Artificial Intelligence, Drivetrain Electrification, Connected Systems, Sharing and Services are powerful trends in automotive – and they are driving increasing system complexity and innovation alike, drawing from a wide range of technological fields such as AI and IoT, among others. Automation, in particular, not only introduces a plethora of additional sensors, compute-heavy algorithms, and the corresponding load on the vehicle’s physical network, but also requires formalized functional safety engineering. Intelligent algorithms not only help automated vehicles drive safely, but artificial intelligence will be making its way into quite every aspect of functional vehicle design with the advent of intelligent personal assistants, affective multi-modal natural user interaction, situational awareness and augmented reality. Electrical drivetrains are competing with compute hungry algorithms for the mileage out of a battery pack. Besides, next-generation wireless communication as well as questions of information security and privacy are among technological drivers dominating automotive discussions. They are part of the foundation to deliver services and help people maintain and organize their highly mobile lives. Automatisiertes Fahren, Künstliche Intelligenz, Antriebsstrang-Elektrifizierung, Vernetzte Systeme, Sharing und Services sind starke Trends im Automobilbau - und sie treiben die zunehmende Systemkomplexität und Innovation gleichermaßen voran, unter anderem aus einer Vielzahl von Technologiefeldern wie AI und IoT. Insbesondere die Automatisierung führt nicht nur eine Vielzahl zusätzlicher Sensoren, rechenintensiver Algorithmen und die damit verbundene Belastung des physikalischen Netzwerks des Fahrzeugs ein, sondern erfordert auch eine formalisierte funktionale Sicherheitstechnik. Intelligente Algorithmen helfen nicht nur automatisierten Fahrzeugen, sicher zu fahren, sondern die künstliche Intelligenz wird mit dem Aufkommen intelligenter persönlicher Assistenten, affektiver multimodaler natürlicher Benutzerinteraktion, Situationsbewusstsein und Augmented Reality ihren Weg in nahezu jeden Aspekt des funktionalen Fahrzeugdesigns finden. Elektrische Antriebe konkurrieren mit rechenintensiven Algorithmen um die Laufleistung eines Akkupacks. Darüber hinaus gehören die drahtlose Kommunikation der nächsten Generation sowie Fragen der Informationssicherheit und des Datenschutzes zu den Technologietreibern, die die Diskussionen im Automobil dominieren. Sie sind Teil der Stiftung, um Dienstleistungen zu erbringen und Menschen dabei zu helfen, ihr hochmobiles Leben zu erhalten und zu organisieren. Katharine Jarmul is a data scientist and co-founder of KIProtect, a data security and privacy company for data science workflows in Berlin, Germany. She is an adjunct lecturer at the University of Florida and has developed curriculum, courses and books for O'Reilly, DataCamp and more. Katharine has worked at large and small companies as a developer, data scientist and technical manager since first using Python in 2008. An avid supporter of diversity in technology, she helped found the first PyLadies chapter in Los Angeles, California in 2011. Her current research and work interests include ethical machine learning, data privacy and automation of data workflows and information security. Artificial Intelligence (AI) has been called everything from a god to the new electricity, but is there merit to these evaluations? AI and machine learning are actively used in many systems we value today, but these models and algorithms are not infallible. AI security, adversarial learning, data privacy and security in an era of big data and machine learning are hot topics of research and debate within the data science community. What type of future can we see where privacy, security and the benefits of AI can coexist? Or are there more dangers and harms ahead? Von ‚Gottheit‘ bis zu ‚Neue Elektrizität‘ wurde Künstliche Intelligenz (KI) schon alles genannt. Aber verdienen sie diese Einschätzung? Schon heute basieren viele Systeme, die wir verwenden, und die wir zu schätzen gelernt haben, auf KI und Machine Learning. Aber Modelle und Algorithmen sind nicht unfehlbar. 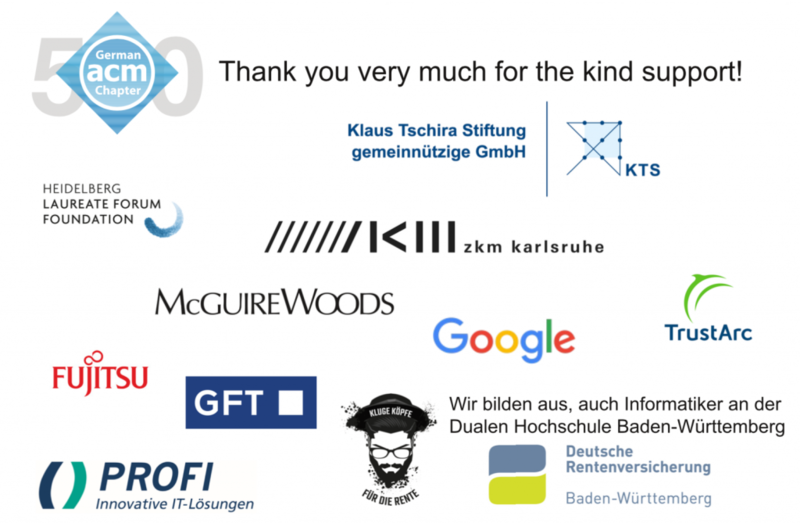 KI Security, Adversarial Learning, Datenschutz und Datensicherheit im Bereich Big Data und Machine Learning – das alles sind in der Data Science Community brandheiße Forschungs- und Diskussionsthemen. Wie kann eine Zukunft aussehen, in der Datenschutz und Datensicherheit mit den Vorteilen der Künstlichen Intelligenz koexistieren können? Oder kommen nur weitere Gefahren und weiteres Unheil auf uns zu? 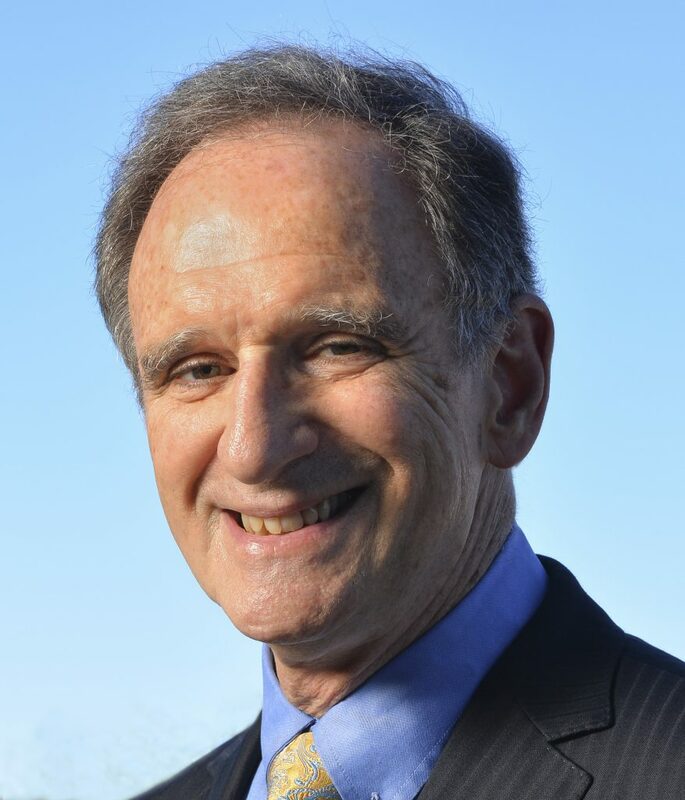 Martin Hellman is best known for his role in inventing public key cryptography, the technology that enables secure Internet transactions. He also has contributed to the computer privacy debate, and was a key participant in the “first crypto war” of the late 1970s. He has authored over seventy technical papers, twelve US patents and a number of foreign equivalents. His many honors include election to the National Academy of Engineering and receiving (jointly with his colleague Whit Diffie) the million dollar ACM Turing Award, the top prize in computer science. His most recent project is a book, jointly written with his wife Dorothie, A New Map for Relationships: Creating True Love at Home & Peace on the Planet. His keynote talk on the importance and the difficulty of making ethical decisions is based on personal experiences related in the book and in which his wife plays a key role. A free PDF is available at http://tinyurl.com/HellmanPDF. You can read the interview with Martin on our blog here. As computers and computing become more pervasive in our lives, ethical decision making is becoming ever more important in computer science. This talk hopes to help computer scientists rise to that challenge. It does so first by demonstrating how easily we fool ourselves, using a personal example where I did that when confronted with the inadequate 56-bit key size of the Data Encryption Standard (DES). It then uses another personal example, Stanford’s patent fight with RSA Data Security, to show how difficult it was for me to make ethical decisions even after I had committed never to fool myself again. The resolution of my dilemma demonstrates the value of getting input from outside parties and of lowering the bar for what constitutes unethical behavior. If we wait for the “big” decisions, we have too little practice when ethical decisions are most needed. Da Computer und elektronische Datenverarbeitung unser Leben immer stärker durchdringen, wird es in der Informatik immer wichtiger, ethisch fundierte Entscheidungen zu treffen. Dieser Vortrag möchte IT-Experten helfen, sich dieser Herausforderung zu stellen. An einem Beispiel aus meiner Praxis, als ich mit der ungenügenden 56-bit Schlüssellänge des Data Encryption Standards (DES) konfrontiert war, möchte ich zeigen, wie leicht wir uns selbst hinters Licht führen. Mein zweites Beispiel – der Patentstreit zwischen der Stanford Universität und RSA Data Security – verdeutlicht dann, wie schwer es für mich war, ethisch fundierte Entscheidungen zu treffen, obwohl ich mir geschworen hatte, mir nie wieder selber etwas vorzumachen. Wie ich mein Dilemma gelöst habe, unterstreicht wie wichtig es ist, Einschätzungen von Außenstehenden einzuholen und die Messlatte dafür, was wir für unethisch halten, zu senken. Wenn wir auf die „großen“ Entscheidungen warten, fehlt uns genau dann die Erfahrung, wenn ethisch fundierte Entscheidungen am dringendsten nötig wären. Peter Weibel, Vorstand des ZKM | Zentrum für Kunst und Medien Karlsruhe und Direktor des Peter Weibel Forschungsinstituts für digitale Kulturen an der Universität für Angewandte Kunst in Wien, gilt als ein zentraler Akteur der europäischen Medienkunst. Als Künstler, Theoretiker, Kurator sowie Verfasser und Herausgeber zahlreicher Publikationen ist er an den Schnittstellen von Kunst und Wissenschaft tätig. 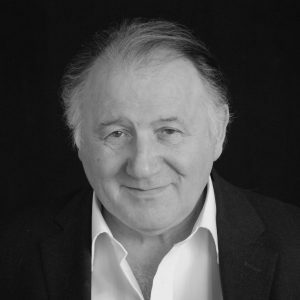 Watch the interview with Peter Weibel here on our blog. Our civilization is, from writing to music, built on a two-dimensional notation. Digital techniques allow us for the first time a three-dimensional notation. The relation between objects and words, objects and images has been irreversible. In the digital world the relation between words and data, images and data, sounds and data are reversible and with 3D printing even objects can be made by data. This lecture will show the new horizon of the human with surprising examples. Unsere Zivilisation ist von der Schrift bis zur Musik auf zweidimensionale Notation aufgebaut. Zum ersten Mal erlauben uns digitale Techniken nun eine dreidimensionale Notation. Bisher war die Beziehung zwischen Objekten und Wörtern, Objekten und Bildern unumkehrbar. In der digitalen Welt ist die Beziehung zwischen Wörtern und Daten, Bildern und Daten umkehrbar geworden und mit dem 3D-Druck kann man aus Daten sogar Objekte machen. Dieser Vortrag wird an überraschenden Beispielen neue Horizonte für die Menschheit zeigen. 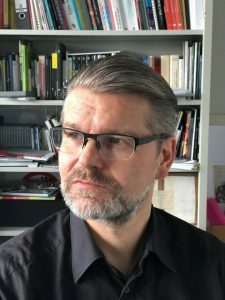 Bernd Lintermann works as an artist and scientist in the field of real time computer graphics with a strong focus on interactive and generative systems. His body of work spans more than twenty years and includes prints, interactive installations and stage performances. He worked with immersive environments like the CAVE(TM), and developed hardware and software for dome projection and panoramic projection environments. He is presently engaged in consumer hardware based augmented and virtual reality to provide access to digital contents for a larger public. He has published various scientific papers including SIGGRAPH and is the co-founder of the company Greenworks which distributes his software development Xfrog, a procedural organic modelling and animation system. 2005 to 2011 he was head of the Institute for Visual media at the ZKM | Center for Art and Media in Karlsruhe. Since 2006-2013 he was professor at the State University of Design, Media and Arts in Karlsruhe. Since 2012 he is Adjunct Professor at the School of Creative Media at the City University, Hong Kong. Watch the interview with Bernd Lintermann here on our blog. The symposium will be accompanied at the Villa Bosch with a show of current media artworks that present a selection of works from the exhibition OpenCodes, Life in Digital Worlds at the ZKM | Center for Art and Media in Karlsruhe. The three interactive installations, which are presented in a short introduction, thematize tendencies of global digitization and its relationships to humans. In Alphabet Space, the visitor can use a single three-dimensional object to display all 26 letters of the alphabet through a transformation from space to surface and write texts by movement in space. Bibliotheca Digitalis: Three Phases of Digitization refer to the virtualization of knowledge. Visitors browse through empty books, the contents of which only become visible in a holographic display. YOU:R:CODE mirrors the viewer as geometric data sets, as internet personas and presents him shaped by technical and genetic codes. Das Symposium wird in den Räumlichkeiten der Villa Bosch mit einer Schau aktueller Medienkunstwerke begleitet, die eine Auswahl von Werken der Ausstellung OpenCodes, Leben in Digitalen Welten am ZKM | Zentrum für Kunst und Medien in Karlsruhe darstellen. Die Schau thematisiert mit drei interaktiven Installationen Tendenzen der globalen Digitalisierung und ihrer Beziehungen zum Menschen, die in einer kurzen Einführung vorgestellt werden. In Alphabet Space kann der Besucher mit einem einzelnen dreidimensionalen Objekt alle 26 Buchstaben des Alphabets durch eine Abbildung vom Raum zur Fläche darstellen und durch Bewegung im Raum Texte verfassen. Bibliotheca Digitalis: Drei Phasen der Digitalisierung verweist auf die Virtualisierung des Wissens. Der Besucher blättert in leeren Büchern, deren Inhalte erst in einem holografisch wirkenden Display sichtbar werden. YOU:R:CODE spiegelt den Betrachter als Code, als geometrischen Datensatz, als Internetpersona und zeigt ihn als Verbindung von technischem und genetischem Code. Prof. Dr. Michael Strube is Scientific Director of the Heidelberg Institute for Theoretical Studies (HITS). 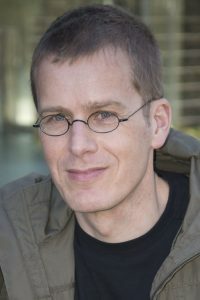 He is group leader of the Natural Language Processing (NLP) group at HITS and Honorarprofessor in the Computational Linguistics Department at the University of Heidelberg. He received a M.A. in German Language and Literature from the University of Freiburg in 1992 and a Ph.D. in Computational Linguistics from the same university in 1996. Before joining HITS he was awarded a postdoctoral fellowship at the Institute for Research in Cognitive Science at the University of Pennsylvania. His research interests focus on questions related to processing, understanding and generating discourse. He works on coreference resolution with a particular focus on appropriate representations for the task. He develops models of local coherence, most recently an unsupervised, graph-based version of the entity grid with applications in text generation, assessing readability and automatic summarization. He is also interested in word sense disambiguation and its relations to discourse processing. Natural Language Processing started out as an exotic, little academic discipline but turned almost unnoticed into a research area with high relevance for the society. Now NLP products are part of our lives. On the one hand NLP enables us to communicate and find information more easily, on the other hand its omnipresence leads to problems. I briefly recap the history of NLP and its origins through military funding in the cold war. Then I discuss the almost limitless possibilities to invade privacy by means of NLP in the age of the internet, mobile communication and social media. Relevant NLP technology is named entity recognition and linking, demographic profiling from social media, geo-localization of private messages, detection of psychological disorders, analysis of power and influence, uncertainty and deception detection, etc. We should be aware that NLP research is instrumental in the emergence of a new military-informational complex which has unforeseen potential to invade our privacy. Die Geschichte der automatischen Sprachverarbeitung beginnt als das Nischenfach Computerlinguistik. Nahezu unbemerkt von Wissenschaftlern und Öffentlichkeit hat sich das Fach zu einem Gebiet mit großer gesellschaftlicher Relevanz entwickelt. Jetzt sind computerlinguistische Produkte Teil unseres Lebens. Einerseits ermöglicht uns die automatische Sprachverarbeitung leichter zu kommunizieren und Informationen zu finden. Andererseits entstehen durch ihre Allgegenwärtigkeit auch Probleme. Ich werde die Anfänge der Computerlinguistik aus der militärischen Forschung heraus skizzieren. Dann werde ich die fast unendlichen Möglichkeiten diskutieren, im Zeitalter des Internets, der mobilen Kommunikation und sozialer Medien mit Hilfe der automatischen Sprachverarbeitung in unsere Privatsphäre einzudringen. Dazu tragen bei die Erkennung von Eigennamen und relevanter Entitäten, das Erkennen und Extrahieren von Persönlichkeitsmerkmalen aus sozialen Medien, die Geolokalisierung von privaten Nachrichten, das Erkennen psychologischer Störungen aus kurzen Texten, die Analyse von Macht, Einfluß und Hierarchie in der Kommunikation, das automatische Erkennen von Unsicherheit und Lügen, usw. Wir sollten uns darüber bewußt sein, daß Forschung im Bereich der automatischen Sprachverarbeitung maßgeblich ist für die Entstehung eines neuen militärisch-informationellen Komplexes, der unvorhergesehenes Potential hat, in unsere Privatsphäre einzudringen. Alexander Filipović ist Kommunikations- und Medienethiker in München. Er ist Inhaber des Lehrstuhls für Medienethik an der Hochschule für Philosophie in München. Nach einem Studium der Kath. Theologie, Kommunikationswissenschaft und Germanistik promovierte Alexander 2006 mit einer medienethischen Dissertation in Bamberg. Der Ethiker, Theologe und Kommunikationswissenschaftler beschäftigt sich unter anderem mit der Ethik der Digitalisierung, der Algorithmen, des Journalismus und der Medienunterhaltung. Wesentlicher Schwerpunkt seiner Vorträge und Publikationen sind die Veränderungen und Herausforderungen des digitalen Wandels unserer Medien. Er leitet zusammen mit Klaus-Dieter Altmeppen das zem::dg - Zentrum für Ethik der Medien und der digitalen Gesellschaft (www.zemdg.de), koordiniert das Netzwerk Medienethik (www.netzwerk-medienethik.de), betreibt einen Blog (www.unbeliebigkeitsraum.de) und gibt mit Kollegen die medienethische Zeitschrift Communicatio Socialis heraus (www.communicatio-socialis.de). Neben der Beschäftigung mit medien- und digitalisierungsethischen Themen forscht er zum philosophischen Pragmatismus. Technical innovations have always been a challenge to mankind. The basic ethical question „What are we to do?“ is always closely related botz to the concrete possibilities and to the objectives and values that people of an era consider as well and true. Therefore it is not easy to give a quick answer to the question concerning operational objectives and ideals when faced with the algorithmic nature of our world. The mere recourse to traditional moral principles and concepts of human being certainly helps in forming a jugdment. Often, however, such an approach leads to moral considerations that do not catch technical development. On the one hand, the ethical recognition of technical possibilities with their inherent potential to improve human interaction and relationships helps to see and develop the good beyond a fear of renewal. Such an „ethics without principles“ is in danger of becoming helping hands for any developments. The talk tries to vividly illustrate these fundamental questions of ethics of algorithmicity. It proposes an ethical access to the problems of our digital worlds, which focusses on the concrete posibilities of improvement (for example, by increasing different actors‘ ethical competence) in order to positively influence developments. Such kind of ethics is not afraid of changes, not even of changing her own views and methods, but she remains critical and free even to strengthen herself to slowdown technolgical development. Technische Innovationen fordern den Menschen seit je her heraus. Die grundlegende ethische Frage "Was sollen wir tun?" hängt dabei immer eng zusammen sowohl mit den konkreten Möglichkeiten als auch mit den Zielen und Werten, die die Menschen einer Epoche für gut und richtig halten. Es ist also nicht einfach, eine schnelle Antwort auf die Frage nach den Handlungszielen und -idealen angesichts der Algorithmizität unserer Welt zu geben. Der bloße Rückgriff auf traditionelle moralische Prinzipien und Menschenbilder hilft dabei sicher für eine Urteilsbildung. Oft führt eine solche Herangehensweise aber dazu, dass der moralischen Überlegung die technische Entwicklung wegläuft. Andererseits hilft die ethische Kenntnisnahme technischer Möglichkeiten mit ihren Verbesserungspotentialen menschlicher Handlungszusammenhänge zwar, jenseits einer Angst vor Erneuerung das Gute der Möglichkeiten zu sehen und zu entwickeln. Andererseits steht eine solche "prinzipienlose Ethik" in Gefahr, zum Steigbügelhalter aller möglichen Entwicklungen zu werden. - Der Beitrag versucht, diese grundlegenden Fragen einer Ethik der Algorithmizität anschaulich darzustellen und schlägt einen ethischen Zugriff auf die Probleme unserer digitalen Welten vor, die sich an den konkreten Verbesserungsmöglichkeiten ausrichtet (etwa bei der Vergrößerung der ethischen Kompetenzen verschiedener Akteure), um so die Entwicklungen positiv beeinflussen zu können. Eine solche Ethik hat keine Angst vor Veränderung, auch nicht vor einer Änderung der eigenen Ansichten und Methoden, aber sie bleibt auch kritisch und ist frei, Ethik auch als Bremse technischer Entwicklung stark zu machen. 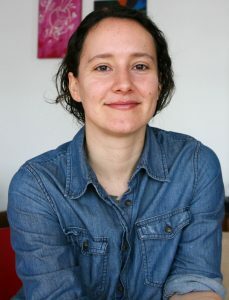 Franziska Boehm is a law professor at the Leibniz-Institute for Information Infrastructure in Karlsruhe (FIZ) and the Karlsruhe Institute for Technology (KIT). Before she was an assistant professor at the University of Münster (Germany). She mainly teaches IT-Law, IP-law, data protection and media law. She studied law in Germany and in France and holds a 'Licence en droit' (University of Nice, France), a Master in International Law (MJI, University of Giessen) and the German 'Staatsexamen'. After her studies, she completed her PhD at the University of Luxembourg in April 2011. The topic of her PhD relates to the EU-information sharing and data protection in the area of freedom, security and justice. It was published as a book by Springer in 2012. Her research interests currently relate to data protection, IP- and IT law. Franziska Boehm - Regulation of Algorithms and Blockchain Applications - Transparency as a Vehicle for More Self Determination? The presentation analyses legal regulation of technology and transparency rules as a vehicle for more self determination in the digital word. It focuses on the regulation of algorithms and on the discussion on blockchain applications as an alleged tool for users to reclaim control over their digital life. It should be discussed how some promising solutions are often only at first glance helpful. Current solutions to increase transparency for users will serve as an example. By showing that such solutions can often only offer a limited protection of users, other solutions to counter the current digital asymmetry should be discussed and proposed. Franziska Boehm - Algorithmenregulierung und Blockchainanwendungen - Transparenzregelungen als Mittel zu mehr Selbstbestimmung? Der Vortrag soll juristische Transparenzregelungen als Mittel der Selbstbestimmung näher beleuchten. Dazu wird ein Überblick über die aktuelle Diskussion im Bereich der Technikregulierung und dort insb. im Rahmen der Algorithmenregulierung und der Diskussion um Blockchainanwendungen als Mittel zu mehr Selbstbestimmung gegeben werden. Im Laufe des Vortrags wird diskutiert, inwieweit auf den ersten Blick sinnvoll erscheinende Lösungsansätze wie allgemeine Forderungen nach Transparenz und dementsprechende Regelungsversuche eine nur unzureichende Antwort auf die Herausforderungen der Digitalisierung sind und ggf. andere Lösungen besser zur Verbesserung der heutigen Digitalisierungsaysemmetrie beitragen können.